UK Civil Service - Obeying Orders? knowledge of the Civil Service Code etc. that the Minister has indeed considered officials' advice. What should you do if a Minister asks you to do something illegal or improper? Ministers are in practice very unlikely to ask officials to do something illegal - or improper as (narrowly) defined by the Treasury and the Public Accounts Committee - see Chapter 5 of Regularity, Propriety and Value for Money. On the rare occasions that they do so, colleagues, including both senior Ministers and senior officials, will usually strongly resist such requests. You should certainly not comply with such a request, and you should immediately alert more senior colleagues, probably including your department's legal adviser. It is much more likely, of course that a Minister will, for his/her own reasons, not be inclined to follow your advice. How hard should you push back? What should you do if a Minister rejects your advice? In most cases – you do nothing. There are lots of decisions which are close calls and do not need to be challenged. Other decisions are inevitably and properly influenced by Minsters' political beliefs. (See Paul Johnson's essay on fairness if you are not already aware of how perfectly decent people can have diametrically opposed views of what is 'fair".) And then, as one official rather sarcastically remarked: Sometimes you have to let ministers find out for themselves that an unnegotiable position is ..er.. unnegotiable. But if you are worried, then this extract from a 1983 Reith Lecture is the classic statement of your duty. Now, a good official will not normally take a single apparently perverse decision by his Minister as the final word: he will seek to bring him round to his own way of thinking. Indeed, if his professional conscience drives him to argue for a course of action – within the framework set by Ministers – he believes to be right, it is positively his duty to face any unpopularity he may be courting. A wise Minister will respect an official who does this, and realise that an apparently tiresome adviser may be the best safeguard against his own folly. …. But if he fails to persuade his Minister on a particular issue, what should a civil servant do? As our system operates, his duty is to accept, as phlegmatically as possible, the verdict of the publicly accountable Minister. First, your boss and your colleagues need to be told about your concerns. They will help you decide whether to try to change the Minister’s mind, and should support you if you decide to try to do so. If time is short, you may need to bring in the 'big guns' - see Note 5. If a Minister makes a decision that you consider to be seriously wrong then you have the right – indeed it is your responsibility – to check (a) that the Minister has been presented in writing with all the relevant facts and arguments, and with a clear recommendation, in a form which he can easily assimilate, and (b) that he or she has read the advice and has understood all the important factors. If this has not happened then you should consult the Minister’s Private Secretary about the best way to correct matters. Further written advice will often be enough, including any necessary apology for failing to prepare comprehensive advice the first time round. But if comprehensive advice has already been submitted, and the decision is important enough, then you should press for the opportunity to argue the case a second time, preferably in person. If the Minister then still rejects your recommendation then you must accept the decision. It is not for you to question the political or strategic thinking that might have contributed to the decision in question unless, exceptionally, the Minister appears to be ignoring legal advice or defying Government policy, e.g. by failing to consult interested colleagues. You should throughout keep careful records. If it all goes pear-shaped, you need to be able to demonstrate, after the event, that you did 'speak truth' but were not heeded. Hopefully, you will never need to use your record but, if the Minister doesn’t listen, it will help you relax and get over it. But what if Ministers, having considered your advice, persist in requiring you to follow a policy with which you profoundly disagree? … what is a career civil servant to do if he finds himself having to implement a policy with which he may strongly disagree? As I have already said, his professional code requires him to carry out his instructions with complete loyalty. But how enthusiastically and how energetically should he be expected to do this? Enthusiasm may be asking rather a lot, but I have my doubts in any case about its place in administration: it can colour judgment and lead to unwise decisions. Even the politically committed should be wary of enthusiasm. But energy is a different matter. This is a question of conscience, and of dedication to the professional ethic. The energetic pursuit of ministerial objectives is something that must be required of officials. And this obligation on civil servants transcends by far any qualms they may feel about the rightness of policy. Pushed to extremes, of course, this sounds like the philosophy of Eichmann and of the German officials who loyally carried out the orders of the Hitler regime on the grounds that it was not their business to challenge government policy. I do not, however, accept the parallel. Notwithstanding the loyalty of a civil servant to the government, his conscience should clearly require him to oppose actions which are either unlawful, unconstitutional, or which involve some great affront to human values. In the last analysis he must be prepared to resign his appointment. But in such circumstances, I believe, he should be relieved of his normal obligation to refrain from commenting on policies for which he may have drafted official advice. But all this is to describe an exceptional situation. What the basic doctrine means, and it is important to understand this, is that the Civil Service cannot be thought of as an in-built safeguard against what some people might call the excesses of a radical or reforming government. The only effective safeguards, if it is safeguards we are seeking, have to be found in the political and judicial processes, or in the force of circumstances themselves – and let me say parenthetically that I have usually found that force of circumstances Is the most effective safeguard of the three. When, having been given all the relevant information and advice, the Minister has taken a decision, it is the duty of civil servants loyally to carry out that decision with precisely the same energy and good will, whether they agree with it or not. Officials are therefore well used to implementing policies with which they strongly disagree and/or which reverse the policies endorsed by previous Ministers. A recent example is at Note 2. But does there come a point when Ministers' instructions are so bad as to require resistance or resignation? The short answer is 'almost never'. All civil servants who work close to Ministers feel very strongly that they have a duty to obey those who have been properly elected to form a government. Who are they to judge whether a policy is truly dreadful, when it has been properly publicised and appears to be supported by a majority of Parliamentarians? This is even more true when a policy has been included in the manifesto on which a new government has been elected. Officials should point out any negative and other unintended consequences of a manifesto policy, but their principal responsibility is to help Ministers fulfill the promises on which they were elected. Officials in the Department for Exiting the EU have been much criticised for not fighting hard enough to resist the detailed consequences of Ministers' 'red lines'. Over zealous officials (or at least officials unwilling to challenge Ministers) have been said to be responsible for the decision to leave Euratom, for instance. But it is obvious that Ministers would have expected them to be energetic (if not enthusiastic - see the Reith lecture above) and this is surely a classic case where Ministers needed to learn for themselves the disadvantages of their policies. And officials in other departments have been criticised for resisting Brexit and being too keen on remaining in the Single Market and the Customs Union. But I have seen no evidence that they were in fact doing any more than their professional job of providing independent advice to a Cabinet who were themselves very divided on these issues. It was interesting, though, to read Tim Shipman's report that "So convinced were some officials that Brexit would one day result in a Chilcot-style inquiry that they began sending internal emails with the express intention of showing that they had taken the risks seriously and attempted to mitigate them". 'People will forget this scandal, and nobody will resign from their jobs. Why should they? They were doing their jobs. The hostile environment was never a secret. The system will remain unfair unless we [the public] fundamentally rethink our approach to migration. What if Ministers Will Not Provide Adequate Resources? The Chief Executive of the Courts and Tribunal Service and the Director of Public Prosecutions (both civil servants) have come under severe criticism for acquiescing in staff and budget cuts which have greatly damaged the UK criminal justice system. Cuts in legal aid have exacerbated these problems. Similar criticisms can no doubt be made of other civil servants, including those in charge of the Prison Service which has failed repeated independent inspection, and where (between 2009 and 2017) assaults on staff had doubled, suicide attempts were up 56% , staff numbers were down by a quarter - and the Ministry of Justice had six Secretaries of State. .
Should the relevant officials have done more to resist the budget cuts? They knew very well that they were required to do much more than achieve true efficiency savings. The quality of their service would certainly suffer. Prisoners would die and prosecutions would go badly wrong. Their concerns have been borne out in practice. The result of Ministers' policies has been well documented in the media and, for instance, in the Secret Barrister’s Stories of the Law and How it is Broken. See also Note 6. Permanent Secretaries, Heads of Agencies and other senior officials are no doubt very uncomfortable as they are forced to make resourcing decisions which damage their organisations. However, like Minsters, they would not have got where they got if they lost sleep as a result. They have a duty to ensure that their concerns are acknowledged by Ministers, but they cannot refuse to make the required cuts, whatever the consequences. Britain should change a “crazy” system that stops Ministry of Defence officials from publicly voicing concerns about the armed forces budget for fear of harming their careers, a senior MP has said. Meg Hillier, chairwoman of the Public Accounts Committee, expressed her frustration at hearing evidence from several permanent secretaries and military chiefs who failed to reveal the extent of a funding hole in the MoD’s plans. Ms Hillier said that Gavin Williamson, the defence secretary, and other ministers should be encouraged to issue more ministerial directions, which is a formal process whereby a minister declares his or her intent in writing even though it goes against the advice, also made in writing, of their civil servants. I published a blog, later in 2018, following public criticism, mentioned above, of the Director of Public Prosecutions. But What About Legal Liability? It is possible that the accountability environment may be changing following the enactment of Corporate Manslaughter, Human Rights, and Freedom of Information legislation, and the increased use of Judicial Review. The Government have also established powerful Inquiries into Hillsborough, Bloody Sunday, Child Abuse and Grenfell Tower, often years after the events being investigated. Outside scrutiny of officialdom is therefore now much more intense than in the past and this accountability might make senior officials push back more strongly against what they perceive as wrong-headed or excessively short-term Ministerial proposals. The threat of manslaughter or criminal negligence prosecution, in particular, must be concentrating minds. 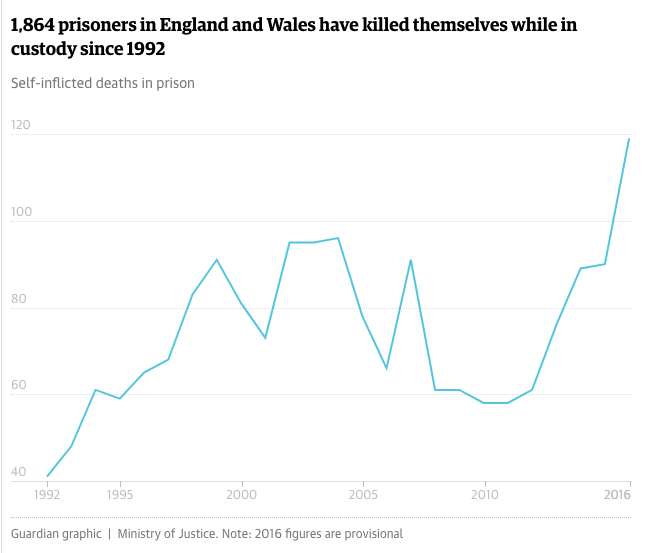 It is strange, when you think about it, that civil servants will willingly implement policies which will increase death rates (by increasing speed limits or cutting prison staffing numbers, for instance – see above) - but they will not follow an instruction that will lead to the death of a known individual. I would need a philosopher to explain this to me. But more importantly, will this distinction hold firm in court? The danger first came to the notice of senior officials when Ministry of Defence civil servants discovered that they might be prosecuted for criminal negligence following the 2006 crash of an RAF Nimrod aircraft. The subsequent Inquiry held the MoD procurement team accountable for failure to maintain oversight of the cumulative and dangerous effect of changes to the aircraft. The report described an MoD stricken by "organisational trauma" induced by the overwhelming objective of finding savings. Put shortly, the MoD had sacrificed safety to cut costs, and this had led to the deaths of 14 people. In the event, there were no prosecutions although compensation of £15m was paid. A book published in 2019 went further and claimed that a hundred British military personnel had died in avoidable accidents over the previous 35 years because of cost cutting etc. by the Ministry of Defence. risking civil or even criminal action if they do choose to work having identified the danger, and errors or harms then occur. I am not aware that any civil servant could face a similar Kafka-esque dilemma but I would welcome thoughts on this. If the same logic had applied to the Nimrod Design Team, then they would have had to choose between defying Ministers (and their customers in the Armed Forces) or proceeding (as they did) to work within MoD's new culture: "There was no doubt that the culture of the time had switched. In the days of the RAF chief engineer in the 1990s, you had to be on top of airworthiness. By 2004 you had to be on top of your budget if you wanted to get ahead." There are of course huge numbers of lower-level decisions, concerning routine maintenance and minor upgrades to systems. If there are to be increasing demands to hold public servants to account for policy and practice on safety, with implications of potential criminal prosecution, there is surely a need for better education and training in legal accountability for safety. The 2017 Grenfell Tower tragedy, in which 72 people died, is still being investigated, including by the police who might decide to bring prosecutions. Might this include those responsible for drafting or enforcing building regulations? Were the responsible departmental officials properly resourced and experienced? if not, then are they liable, or their bosses? The Information Commissioner began, in May 2017, what was described by some as a criminal investigation into the behaviour of Ministry of Justice officials who were accused by Buzzfeed of failing to comply with an FoI determination by the Commissioner. She had required production of an internal report but the Ministry provided only a six page version, despite their having previously been a 36 page version containing some embarrassing judicial and other comment on the consequences of reductions in legal aid budgets. Again at the Ministry of Justice, there was an interesting report of a court case in 2019 that revealed that austerity-driven staff cuts had meant a one year delay in the commencement of an audit of a fraudulent legal aid firm - costing the taxpayer no less than £8 million in further fraudulent claims. Suez Following the 1956 Suez Crisis, Cabinet Secretary Sir Norman Brook failed to prevent Sir Anthony Eden from lying to the House of Commons (‘there was not foreknowledge that Israel would attack Egypt’), He then obeyed the PM’s instruction to destroy documents, including the Sèvres protocol, which confirmed the collusion between Britain, France and Israel. I doubt that any modern Cabinet Secretary would accept such an order, not least because of the likelihood of his/her behaviour being exposed. But (s)he would have to think hard about what to do if a Prime Minister were to lie to Parliament. If the lie had been inadvertent, they would need to make sure that the PM was aware of this so that it could if necessary be corrected. If the PM were reluctant to correct a lie then the a Cabinet Secretary would need to decide whether it was in the clear national interest to expose the lie, depending very much on whether it might have serious consequences. Export Guarantee There was one occasion - many years ago - when a Trade Minister and his officials were very keen to offer a government backed guarantee to facilitate a major export to a purchaser who was assessed as having a high risk of defaulting when it came to paying for the goods. The guarantee needed Treasury approval which was not forthcoming so, as a Friday evening deadline approached, the Minister ordered his officials to issue the guarantee anyway, which they did. The Treasury were not amused and the Minister was reprimanded, as were the officials for having complied with his instruction. But HMG stood behind the guarantee. International Law Senior officials’ failure to persuade (force?) Prime Minister Blair properly to consult key colleagues in the months before the invasion of Iraq in 2003 is discussed elsewhere on this website. He in particular failed to circulate the Attorney General’s (twice changed) legal advice, and no-one sought to record the reasons why the Prime Minster concluded that Iraq was in breach of UN Resolution 1441, although this was an essential ingredient of the legal basis for the war. Her doubt that the invasion would be legal under international law caused the resignation of Elizabeth Wilmhurst, Deputy Chief Legal Adviser at the Foreign Office, only two weeks before the war. But it was notable that others did not choose to resign with her. On the other hand, I understand that Jack Straw's and other Minsters' decisions that the UK would cooperate with American rendition requests, did not involve UK illegality. Rendition involved, for example, the forced removal of individuals to a British Overseas Territory: The Chagos Islands, including an American base on Diego Garcia. However, as no UK laws were broken, I think that British civil servants were permitted to accept Ministers' decisions. In the event, Saga Sky’s anchor held, the ship was not wrecked, its crew survived and there was no oil spill. Dr Bawa-Garba was a well-regarded physician who had no alternative but to cover for an absent registrar while overseeing six wards on four floors during a twelve-hour double shift with no breaks. Worse still, it was her first day back after maternity leave and she had had no induction training. The nursing rota was understaffed and the IT system was down for hours, meaning blood tests were critically delayed. Her consultant offered inadequate support and may have blamed her so as to deflect attention from his own culpability. Dr Bawa-Garba and the nursing team made a number of tragic errors which cumulatively led to the death of a child. In the aftermath, she talked through the case with her consultant so they could both learn from the experience. She confided that she could have done better. The parents pressed for her to be prosecuted, and that one admission was of course used against her in court where she was found guilty of manslaughter (though not imprisoned). Andrew Lilico: "Brexit isn't mainly about us as individuals. It's about the future of our country & its contribution to the world & world history over the long term - including those not yet borne & those not in the UK. Your next 10 years are irrelevant." Iain Dale (having been asked whether there was "any dire set of circumstances (however unlikely) that could cause you to regret voting how you did? "): "No. I voted for the UK to return to being an independent sovereign nation and to make its own laws. How could I regret that?" Barbara Hosking, author of Exceeding My Brief, tells a nice story of when she was a duty press officer in the Department of the Environment over a weekend in the middle of the 1976 drought. There were strict nationwide laws restricting the use of water for many non-essential purposes, but she picked up that officials intended to press on with Monday's scheduled and legally-permitted washing of the windows of a large office block in central London. She tried to persuade the Permanent Secretary that this would be a PR nightmare (as well as wrong) but he argued that there was a contract in place and then put the phone down on her. Her only option - other than to let the story unfold - was to call Robert Armstrong, the Cabinet Secretary, and get him to ring the stupid Perm Sec. The details of the conversation were not recorded ... but the window cleaning did not take place. Richard Foster, the retiring Head of the Criminal Cases Review Commission, was challenged on the Today Programme in October 2018 by Liam Allan, a young man whose life had been nearly destroyed by police service mistakes. The CCRC, it transpired, was now working with only 30-40% of resources that had previously been made available to it but - according to Mr Fowler - its performance was just fine. Mr Allan was not persuaded. "... now is the time for everyone to turn round and say " You know what, we'll hold our hands up ... we aren't at the place we all want to be" ... [It would set an] example [for others in the system] if the CRRC [were] willing to accept that it is under resourced and can't to the inquiries properly".